JUSTIN Latapy-George, the out-of-contract general secretary of the TT Football Association (TTFA), continues to receive his pay and perform practically all the functions outlined in his last contract, which expired in November. Newsday contacted Latapy-George yesterday, after FIFA, the world football governing body, posted on its website that Camara David was the TTFA general secretary. On Monday, that information was present on the TTFA's "Association Information" page on FIFA.com, but both the position and Camara's name were removed when Newsday visited the website yesterday. 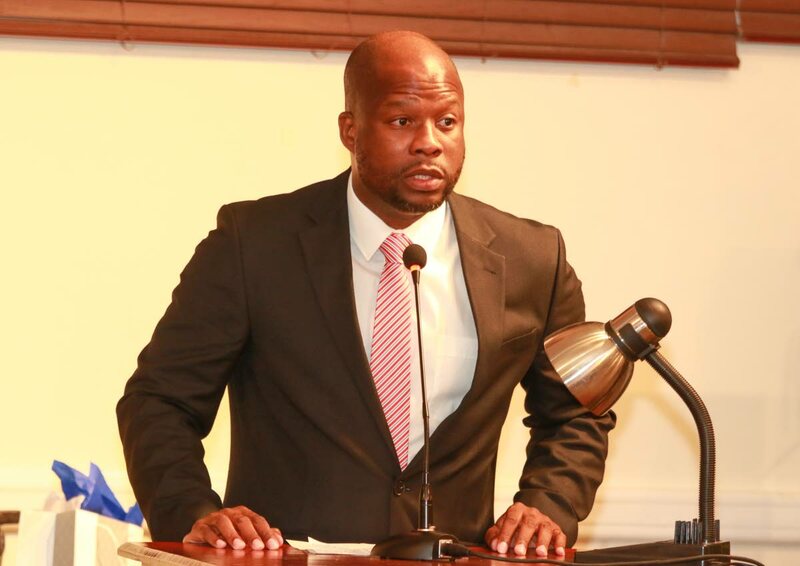 Camara's name listed as general secretary added to the confusion created when TTFA president David John-Williams and Camara were present at a FIFA Forward workshop in Barbados recently. The FIFA Forward workshop was specifically targeted to the presidents and general secretaries of the regional association. The TTFA board members and Latapy-George said they were unaware of the workshop. TTFA board member Keith Look Loy said John-Williams' actions were disrespectful to the board and Latapy-George. Yet, after all that has transpired, Latapy-George said yesterday he remains keen to sign another contract with the TTFA. "I mean, obviously, as someone who is in the capacity and doing the job, I remain interested in the job. What decisions are made there (regarding the status of the general secretary) relies on the president and his consideration as to what he thinks he wants to do within the organisation," Latapy-George said. Asked directly about the impression that David is being moulded for the position, Latapy-George said, "We saw articles suggesting that...it's been noted on FIFA's website, (and) that he has attended some related meetings, under the allegation he was general secretary, I cannot speak on any of those things in any meaningful way. "I can only speak directly to the fact that as far as I'm concerned and as far as I can see at this very moment, I continue to operate as the general secretary. I have not been told anything different from the president or the board of the TTFA, who ultimately make the decision on the president's recommendation, whether I am continuing in this particular capacity or not." Latapy-George said he spoke with John-Williams twice about his tenure. "Once, prior to my contract ending in November, in which he asked me to stay on – which is where I am as we speak – and then on January 2 when he articulated a position. But I would prefer not to speak to that because he will be better placed to have those discussions based on his plan," he said. Fortunately, unlike several coaches, their technical staff and the technical director attached to the association, Latapy-George continues to receive pay. He said, "The assumption of me not being paid is incorrect. All terms and conditions with the exception of the question mark being my tenure remain the same. As I said, save and except for when that tenure is – whether it is 10 years, two months, three months, a year, six years – I don't know. But I can speak for me, I continue to receive my remuneration." Asked whether the TTFA boss should be more open about his activities related to the association, Latapy-George said, "I cannot speak for Mr David. I think that would be inappropriate of me to speak on his behalf. He has to speak for himself." Reply to "Latapy-George keen on new TTFA contract"